Welcome to the Pearl/Adams DCI Feature site! Select a corps from the left-side menu to check out all of the pictures and videos from your favorite Pearl/Adams ensemble. 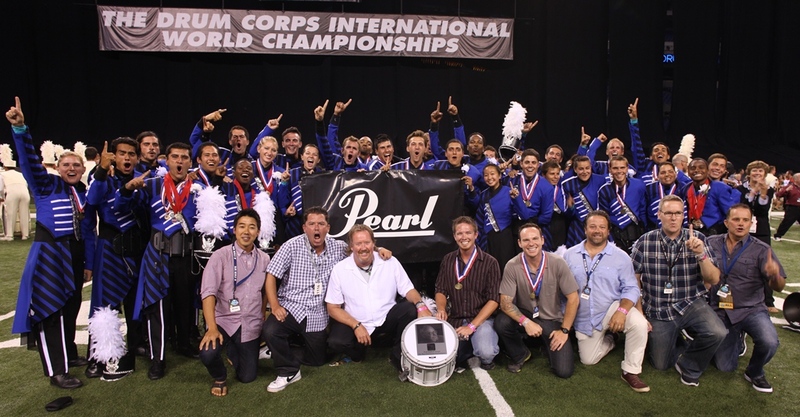 Congratulations to the 2012 DCI World Class Champions, THE BLUE DEVILS! An undefeated season culminated in the presentation of the 2012 DCI World Class Championship and Fred Sanford High Percussion Trophy to the Blue Devils. The Blue Devils B corps was awarded the High Percussion Trophy in Open Class competition, as well as receiving the 2012 Open Class Silver Medal. Also appearing in DCI Championship week was 7th Regiment, placing in Open Class Finals and DCI Quarterfinals. The Cascades earned a spot in Semifinals, along with Blue Devils B, and The Troopers. Spirit of Atlanta, The Blue Knights, and The Blue Devils made appearances on Saturday in DCI World Class Finals competition, each with stellar performances. Pearl/Adams would like to congratulate all of the participants for a fantastic 2012 DCI season! Images provided by Jolesch Photography.